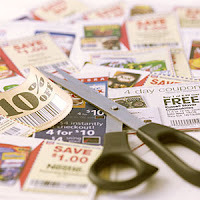 To make it as a staff member at PCC, (paid, part time, or volunteer ministry leader), you have to be a coupon cutter. Well, not literally, but in a sense of the word, yes. A word that defines our standard operating procedure is “frugality.” We operate in a constant state of frugal spending because we want to be good stewards. You better understand that you cannot purchase your way out of a problem, and you must be willing to plan, wait, and come up with creative solutions. One of the greatest assets that churches have available to them is people and their time, and when these two come together in a creative way you can do more with less money. It is often poor planning and lack of oversight that leads to rushed printing jobs, expedited delivery charges, not reusing curriculum, and overstocking of supplies; stuff that doesn’t fly around here. Saving money and being good stewards is one of the reasons I am so passionate about good planning. That doesn’t mean we are cheap, stingy, or don’t care about excellence. We believe that we should give God our best in all we do. But excellence also means that we don’t throw money at unnecessary things that doesn’t make a difference in God’s kingdom. I read today that 50% of churhces in America do NOT win even ONE PERSON to Christ in a single year! Can you believe it? Our church is now twelve years old, and we have seen God do some incredible things over the years. One of those things is the number of people who attend and call PCC their church home. I know, five hundred people doesn’t sound like much, but it really is when you look at the big picture. That means when we hit the 75 attendance mark we were as large as ½ of the churches in America, and when we crossed the 300 attendance threshold we were in the upper five percent of all churches in American in regards to attendance size. Does that offer a sense of perspective? 1. God is blessing our church. I don’t’ mean this in a lip-service kind of way. I really mean it. It’s obvious to see the hand of God’s favor upon us in many ways. The ministry of PCC has turned into a fruitful vineyard. When you do God’s work God’s way, you will never lack for God’s support. 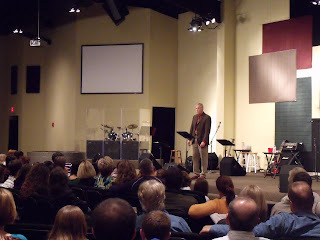 I am thankful to be a part of what He is doing at PCC. 2. We came to the right place at the right time. 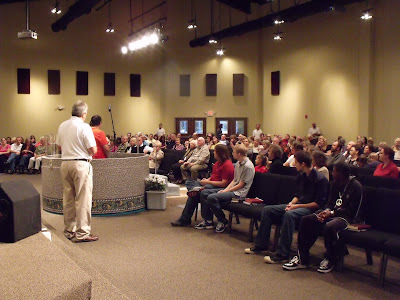 Before starting this church in Pace Florida, there were a lot of other communities that were on the list, (Pensacola, Milton, Jacksonville, Lady Lakes, Ocala, Ft. Myers). In fact, we came very, very close to planting a church in Jacksonville. But in the end God wanted us here. Turns out we were able to find the perfect niche here because Pace (and the surrounding area) did not have a church like PCC. A lot of people have gravitated to us because we were able to “position” ourselves as being different than all the other churches in the area. 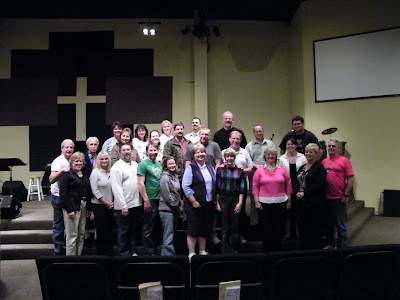 Since starting PCC, several other church plants has been started trying to emulate us. 4. We aren’t afraid to lose people. This is important. I have experienced key leaders, big donors, and mutinous groups walk away from PCC leaving us in a temporary jam. But I have never been tempted to change the vision, mission, strategy or structure just to accommodate demanding people. You may not realize this, but PCC has grown as much through subtraction as we have through addition. i.e., Every time someone has left PCC, God has replaced them tenfold! It’s tempting to think, “They can’t leave! They are vital to our church.” But before long God replaces them with new people who smile, who have good attitudes, and are generous in their giving. Yes, sometimes it is hurtful and painful when certain people leave our church, but God uses those times to grow our church. 5. We are not afraid of change or of making decisions. All living organisms need to change and adapt in order to grow. If churches are to grow, they’ve got to be willing to embrace change. This involves making decisions - sometimes tough ones. We never allow ourselves to become stagnant. If there is a logjam backing up the river, we tear the dam down so the water can flow freely again. If someone’s pet project is holding the whole church back, it is decision time. If current building usage practices are preventing us from launching a new initiative, it is decision time. If a current procedure is a drain on the resources, it is decision time. You get the idea. I think these factors have helped position PCC for such a time as this. When I think of the future and the possibilities before us, I am excited at the prospect of what God is going to do. The best is yet to come. It is profoundly arrogant for anyone to assume that they or their church is one of the few in God’s kingdom whom Jesus has selected as the fountain of truth, giving them giving them permission to pilfer other churches and steal sheep. Such an attitude reveals not spiritual depth, but incredible shallowness and carnality. What bloated egos. Seminary students are often such dreamers. They pledge to be honorable when they enter the ministry and promise to never build on another mans foundation. But after graduation and in the real world of budgets, sagging attendance, lack of conversions, no baptisms, and a need for volunteers, these dreamers soon forget about such lofty notions. It’s easier to steal sheep from other churches by soliciting the already saved, and then justify that cowardice in the name of leading them to truth. That’s how these thieves maintain honor among themselves. Like David in the passage above, they justify in themselves what they condemn in others. Justification is the MOTHER OF ALL SIN. It inspires a logic that bends biblical boundaries, conforming them to our own wants. In this land of half-truths, God’s truth is distorted with semantics. The graves of Adam & Eve can be found here. For failing church leaders, easy numerical growth through sheep stealing is a powerful intoxicant at justifying personal sin and the betrayal of brothers. It impairs sound judgment and makes them vulnerable to anything that will help them achieve success. Sheep stealing is wrong, no matter how you slice or dice it. HOW a church grows is what matters – especially when Biblical principles are being compromised to achieve it. Hard working pastors and church planters who sacrificially labor to lead the lost and un-churched to Christ rarely find any merit in the pompas talk of these theorists who love to pontificate about the ministry; yet are failures in the ministry. Oracles from these empty wells ring hollow. Transfer growth, by definition, creates no new converts, no baptisms, no increase of the knowledge of God in the earth, and no salvation fruit. It simply gathers the already-saved and relocates them. It is a reshuffling of the deck. Sheep-stealers target Christians from other churches. They avoid the messy business of evangelism (of sinners) and discipleship (of new converts) by raiding the pews of other churches. All they have to do is simply convert these stolen sheep to another style of worship or doctrinal beliefs. Is that kingdom advancement? No it's not. 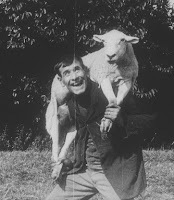 The motivation for sheep-stealing has much to do with the ease and fast results of attracting the already-converted to a new church home. Building a church on true conversions takes time, energy and resources. Even when these efforts are successful, it often takes years to develop a disciple. How easy it is for a sheep-stealer to come along and simply pluck such a person from a another flock; the work is already done and it produces positive results and immediate assets the new church. 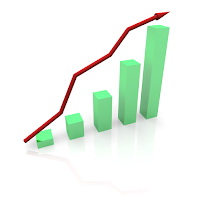 It is fast and efficient; it graphs well and looks good on the church’s end-of-year report. The longer I think about sheep stealing and those who deliberately engage in it, the more I am convinced that this practice is not energized by God’s Spirit, but by God’s enemy. Okay. I realize I that I haven’t posted anything new for three days. This was done deliberately. I wanted to be sure that my post about JOHN PIPER was read/seen by everyone who logs on to this site. More than four hundred hits later, I can now move on. Mission accomplished. Attendance was a little off due to holiday travel, which is to be expected. This particular Sunday (between Christmas & New Year) is always a challenge. The morning message (Annual State of the Church Address) was the right topic to speak on. With Christmas behind us and the New Year just before us, it was the perfect Sunday to review 2009 and outline some objectives for 2010. I had a lot of fun with some of the content, and some moments were pretty tense too. It needed to be said. A group of teenagers came to the stage at the conclusion of the second service to help with the closing song. They did a good job and it was a pleasant surprise. We are preparing for some changes in 2010. Business-as-usual won’t cut it if we are going to be the kind of prevailing church God has called us to be. Every year we evaluate our programming, procedures and personnel. It’s always a tense time but it must be done. We do this to ensure that we are as lean and as efficient as possible. If a program isn’t working, it gets axed. If a procedure is inefficient, it gets changed or improved. Ineffective leaders are replaced. It is also time for MY ROLE to change at PCC. I spend too much time working “in” the church when I should be working “on” the church. I should be doing more “equipping” of others to carry the work load. Ephesians 4:11-12 is very clear that the role of pastors is to “perfect the saints” so that they can “do the work of the ministry.” I should not be vacuuming the carpet in our church. Our church should become a congregation of 600-700 in 2010. There is no reason why we shouldn’t. I remember saying those exact words two summers ago to a group of leaders in our church – almost all who are now gone. They couldn’t cope with the prospect of change. They wanted us to remain like we were in the days of meeting at the High School. Yet, our attendance is better now than it was then and we have done more to fulfill the Great Commission than ever before. But the best part is this – the people who are with us now HAVE a WHOLE NEW MINDSET. They are ready and eager to move forward. A new message series begins this Sunday – based on the book of Malachi. It’s going to be very challenging, but will result in spiritual growth for the members of our church family who desire it. 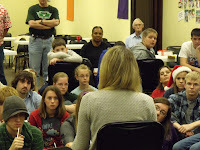 Brittany Denny is sharing a Christmas devotional. She did an outstanding job. An orchid I am growing. Part of the library in my office. Can't lie. I am ready for 2009 to be over and 2010 to begin. It's going to be a great year. I admitt it, I've got a little redneck in me. But I went to Carpenter's Park in Milton today and noticed that the redneck-ness there goes to a whole-nutha-level. As the year comes to an end it is a good time to look back on all that God has done through us in 09. Hundreds and hundreds of families have filled out first-time-guest cards. 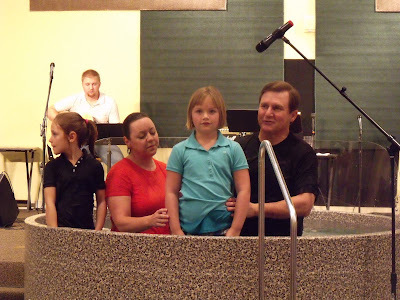 Dozens of people have been baptized, and dozens more added to our membership. More than one hundred people committed to Christ in the Sunday services. Small groups were strong. Financial giving was better in 09 than 08. Average attendance for the year was 450 each Sunday, which is about a 7% increase over 2008. 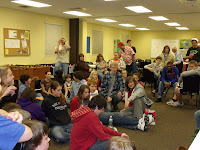 Then there are the many exciting things happening in our age-level ministries and outreach efforts. We also have goals, expectations, and areas of improvement slated for 2010. You might want to be in church this Sunday to hear about it. What a great church we belong to! Holy Moley - 80,000 Hits! These skills I had to learn in the filed, in the school of hard knocks, under the leadership of other successful pastors. They know the 'real world' of ministry - not the lofty naive one. Most seminary instructors have never actually pastored a church, or, if they did, couldn’t wait to get out of the pulpit and into the classroom. As such, they prefer to teach Biblical theology (or their theories of what ministry is supposed to be like) rather than what is actually needed in the field. The end result of such training is over-educated pastors today who do not know how to effectively lead a church – they were never taught how. That’s why CONFERENCES are better than classrooms, and SEMINARS are better than seminaries – they are led by real church leaders who lead on the front lines. From them you will actually learn something that is useful. Thank you for your response to this effort. While the full need was not met, enough was received to provide this family with a jump start in their recovery. In an effort to protect the privacy and dignity of this widow and mother of two small children, we will not publicly disclose the total amount given to her. But you can be assured that one hundred percent (100%) of all funds received by Pace Community Church are going directly to this family. The laptop computer I use at home for most of my blogging has bit the dust. That's the reason for the slow down of entries, and no Sunday Mind Dump yesterday. Here the apostle Paul was receiving a special offering from the Corinthian church to be given to the suffering church at Macedonia. This was not the weekly collection of tithes, it was a special offering that involved significant sacrifice. Paul, under the inspiration of the Holy Spirit, begins by stating the most basic law of giving: Whoever sows sparingly will also reap sparingly, and whoever sows generously will also reap generously (v.6). This promise is to show us the reward of giving. All farmers understand planting and harvest, and we should learn to understand God’s law of sowing and reaping. 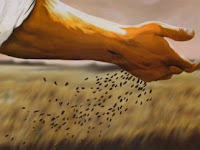 After a harvest (in Bible times), before the farmer would use any of the grain as food for his family or livestock, he would first go through the harvest grain and pick out a percentage that exhibited the best qualities of size, weight, color, and set this aside as seed for the next season’s crop planting. This early form of genetic selection helped assure that the next generation of crops would produce higher yields and greater quality. This is the analogy that the Bible is using in describing our financial giving – if we plant only a few seed in the ground the harvest will be lean, but if we plant an abundance of seed in the ground the harvest will be bountiful. This is the principle of the seed when it comes to our generosity to the work of God. Should the Pastor Know Who Gives? To make a point, let’s ask that question another way. Should the doctor know the symptoms and general health of his patients? Should a lawyer know the details of the case for his client? Should a coach know the athletic abilities of his team members? Forget the idea of secrecy. The notion that one’s giving to a local church is “just between me and God” may sound good – even pious – but it’s not possible. It is personal, yes, but it is not entirely private. The matter of giving is not only between you and God; it is also between you and your church family! If you belong to a local church somebody knows about your giving. Someone HAS to know. Churches keep records; offerings are counted, personal checks are looked at, the names and dollar amounts are confirmed, and then all this information is entered into the church record. As a result, it is also known who gives nothing at all. But should the Senior Pastor know who gives and who doesn’t? Well, consider this - the Bible teaches that spiritual leaders in both the O.T. and N.T. KNEW the giving habits of some people (see I Chronicles 29; Acts 4:37; Nehemiah 7:70; Acts 5:1-2; Luke 8:3) and that even Jesus sat and watched how much people were putting into the offering box (Luke 21:1-4)! So the answer is yes, pastors probably should know. And it also lets the pastor know who is on their way out! Let’s put to rest the notion that pastors should not know which members in the congregation are supporting their church. That’s like a Music Minister not knowing who can and who cannot sing, or the Children’s Minister not knowing any children. Knowing what people give is not about catering to the wealthy. It’s about knowing the state of your flock and being able to develop them in discipleship and Biblical stewardship. Some might object to this idea, believing instead that if a pastor knows who is giving and who is not, he might treat them differently. My reply to that is I already know many secrets about people’s lives; even dark secrets. I know who has committed adultery, who has a drinking problem, who has had an abortion in the past, who is on drugs, who has homosexual tendencies, who has been in trouble with the law, who is in serious debt, who has tried to commit suicide, and much more. Regardless of people’s dark secrets OR their giving habits, I am called to love and shepherd all the sheep in our church’s flock. This is a matter of trust. Either a pastor can be trusted or he can’t be. Why is it that the pastors can be trusted to know some of the most intimate details of a person’s life, and yet somehow can’t be trusted with knowing who gives financially and who does not? It the pastor cannot be trusted with this knowledge, then WHO can be trusted – and why them? My personal practice has ALWAYS BEEN to NOT look at our church records in an effort to “grade” people or place a value on them by the level of their giving. As a personal conviction it helps keep me free from bias or showing favoritism. I still maintain that standard to this day. But there are EXCEPTIONS to this rule, and always have been. Sometimes I DO ask for information about members in our church, and reports are then provided to me. Since there is no personal gain for me in the collection of tithes & offerings (see yesterday’s post), I can ask for this information with a clear conscience and with only the benefit of the individual and our church in mind. Here are six instances that every pastor should know about people’s giving and happen to represent what I personally practice. 1. When someone new starts to give regularly. When I am notified that a new person, couple or family, starts to give regularly to PCC, then I know this person is someone who is making an intentional effort to be helpful to our church family and wants to deepen their involvement. Their giving reflects a comittment to God and to our church. This information is good for me to know because such a person is an asset to the PCC family and may become eligible for a deeper role in the future. 2. When someone stops giving or significantly decreases their giving. A drop in giving usually happens for two reasons. First, the person has experienced some sort of financial setback (loss of job, etc) which has interrupted their level of giving. Or secondly, the person is upset with someone or something in the church and this drop in giving is an early-warning sign they are probably on their way out. In fact, people who are upset about something usually stop their giving about 4-5 months before they actually leave. Both of these are pastoral issues and the pastor needs to know. If I am notified that someone’s giving has dramatically decreased, I can look for an opportunity to possibly talk with them and find out how to help. 3. When a special gift or donation is given. Sometimes individuals or couples will give PCC a large gift, a special gift, or a designated gift. I am notified when this happens, and for good reason. I am able to be sensitive and make sure the person knows their gift was received, is appreciated, and is being used as intended. People always seem to appreciate this feedback when I offer it. 4. When someone is being considered for leadership or ministry. Let me be blunt here. A person who does not support their church is not fit for leadership in a church – in any capacity. When we are considering anyone for an important role at PCC, one of the questions we ask is, “Does this person have a record of Christian maturity and generosity in their giving?” And yes, we will check our records. If the answer is no, it is an automatic disqualifier. I’ve had plenty of people get mad at me because of this, but I’m okay with that. You don’t let a fox into the chicken coop and you don’t allow a robber of God’s tithe to lead a ministry in the church or be responsible for any portion of our budget. Jesus said our money is connected to our heart, and if a person is not financially supporting their church then their heart is not with us. Plain and simple. Having access to this kind of information helps us avoid major problems with such a person in leadership. 5. 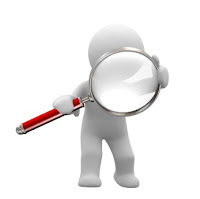 When an organizational evaluation needs to made to determine our church’s financial strength. The “bottom line” is not always the best information to have. Sometimes we need to know where the money is coming from and how broad our financial base is. For instance, in most congregations one half (½) of the annual contributions come from 10% of the members. Another 30%-40% of the people give nothing at all. Finally, the other half of annual contributions comes the remaining members, usually in the form of $5 amounts given on an irregular and inconsistent basis. This means that only ten percent of the congregation is carrying most of the financial responsibility. Not good. You can see how lopsided these giving patterns are and why this kind of information is essential to know; it is critical to strategic planning. 6. When someone has shown the capacity to be especially generous. Some people have a spiritual gift of generosity. Romans 12:8 tells us that some people have the gift of giving and that they must use this gift well. Normally this means that a person has a very good income and they choose to spend less of it on their personal lifestyle and invest in the work of God instead. Such people need to be encouraged in that gift. We encourage people with other gifts, don’t we? i.e., If someone is a great singer, we encourage them to sing. If someone is a great teacher, we encourage them to teach. If someone is great in mercy, we encourage them to show mercy. And people with the gift of giving should NOT be IGNORED, but encouraged to use their gift well! If a pastor knows that someone is exhibiting generosity, then he can meet with that person to help them sharpen their gift by pointing out ministries or areas of the church that could benefit from their gift of generosity. My guess is most of people who don’t want their pastor to know who gives are those who have something to hide. Or they are suspicious of his motives. Since I have nothing to hide myself, I’ll go completely transparent on a personal level: If you would like to see my record of giving, just ask. I will show it to anyone who asks. Does the Pastor Profit from Tithes & Offerings? Just so you know, I do not personally profit from the finances collected at PCC. Neither do any of our other employees. There is no personal gain in it for any of us. The reason is simple: it is illegal. Let me explain. 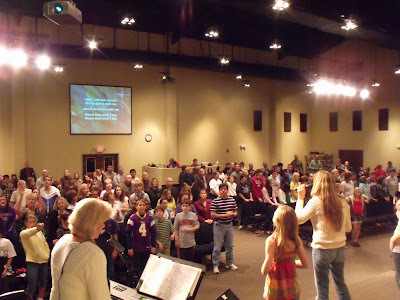 Pace Community Church is a NON-profit organization and is governed accordingly by state and federal laws to maintain its not-for-profit status. That means no person, persons, employees, or individuals may personally profit from any of the church’s assets (cash, property, or otherwise). The only provision that is allowed is for employees in the form of salaries, and even then only “reasonable compensation” is permitted by law. Any thing above a “reasonable” amount would be considered “profit” by the Internal Revenue Service. What is reasonable compensation? Here’s how it is decided at PCC. We use an outside organization (which is impartial & unbiased) to determine the amount for each of our paid positions. This organization is the “National Association of Church Business Administration” which we are a participating member of. They publish a “Church Staff Compensation” survey, every two years, in which pay scales and salary amounts are provided for every conceivable position on a church payroll. Factors in determining the salary ranges for each employee are: years of experience, education level, comparison with other professionals or vocations, leadership responsibility, and whether the employee is ordained or not. Also considered are unique factors about the church itself (that is, the employer) such as denomination (or nondenominational), location (urban, rural, or suburban), region (Southeast), church budget, and economic conditions. From all this information salary ranges (pay scales) are formulated. These tables have a low, medium, and high range for each position. Armed with these impartial tables (that reflect no bias or favoritism) the directors of PCC are then able to assign salaries accordingly. No arbitrary decision can be made. No excessive amount given. No favoritism shown. No personal profit occurs. We are constrained by these pay scales. And in the interest of full disclosure, no employee at PCC is in the high range on the pay scales. All full-time employees are in the medium range. The laws governing our not-for-profit status are so binding that it also means all church assets, land, buildings, cash, bank accounts, material, and equipment, are the property of Pace Community Church, Inc. No individual owns anything here. In fact, if our church were to go out of business and cease to exist, all the assets would have to be given to another non-profit organization, or surrendered to the federal government. Under no instance would any person be permitted to seize or use them for private use. So when I ask our church family to give generously to Pace Community Church each week, there’s no personal gain in it for me. When I teach on the subject of giving and financial stewardship I do so in the authority and full conviction of God’s Word, not from self-interests. If our church’s income were to double, triple, or quadruple overnight it would not fatten my bank account; only our church would benefit. Some people try to squirm out of the clear commandments of God to support their church by complaining "it all goes to the preacher" - but that's just an excuse, often coming from those who are selfish or suspicious. And at PCC it certainly is not true. Except for "reasonable compensation" paid to employees, all tithes and offerings collected at PCC go directly to the church itself - nowhere else. Or, in the event of a special offering in which 'designated giving' is permitted, 100% of the funds given go directly to the desinated cause - nowhere else. Therefore, receiving an offering is not about me. It’s about you. #1 - Are you going to do what God commands you to do in regard to financial stewardship, tithes, and offerings? #2 – Do you love your church enough to support it? When I first became a Christian there were some things my church taught me right up front about the Christian life. They didn't wait three years, two years, or even one year to get me started on a strong diet. They weaned me off of milk pretty quick. I was taught that God expects me to be at church each Sunday, that I must honor Him by brining the tithe and offerings, and that I should find a place to volunteer…. not to mention read my Bible, pray, put God first, join a Bible study, and grow up. But things have changed since then. Some people feel like they belong to a church if they show up once about every four of five weeks! When it comes to giving, tithing is out of the question; a tip is more likely. And volunteerism is considered to be extra credit. On the other hand, I think I do. People do what is important to them. It’s not a matter of whether or not people will commit themselves to something – it’s a matter of WHAT people commit themselves to. Quite frankly, a lot of peole are more committed to matters of self-indulgence than they are to God and a sincere pursuit of godliness. As a result God gets their leftovers. They are "spare time" Christians. Moonlighters. Not good. I’m fully committed to these basic principles of Christian living. But these convictions are not borne out of being a preacher; they were forged in the early days of my Christianity before I ever knew I was going to be a pastor. 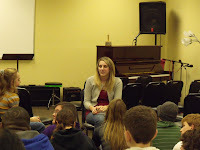 My church simply told me up front that there were some things that God expected of me, and I didn’t argue about it. I conformed. .... This is a heart issue, not a time issue. .... Giving is not a matter of wealth. It’s a matter of willingness. .... Jesus rose from the grave, but some people can’t get out of bed. A church is guaranteed to fail if the pastor and other senior leadership are not willing to CALL PEOPLE to COMMITMENT. The last thing any church needs is a congregation made up of people who are more committed to shopping and their favorite TV program than they are to God. People must be challenged to volunteer, to read their Bibles, to be at church every Sunday, to pray and tithe. They must grow up. Otherwise we will raise up nothing more than a group of co-dependent people who never get off the pacifier and wil perpetually depend upon others more than they do God. There are too many people who show up to church and eat for free. That is, they enjoy all the services provided by our many ministries but don’t give a nickel to the work of God to help underwrite those costs. Or either they are in the $5 club. Others are tippers, but not tithers. This is what you call eating for free. Many even feel entitled to have it this way. I hope to correct this in 2010. Pace Community Church offers all the amenities and services that one would expect from a New Testament Church; we worship in a beautiful building; parents enjoy the services provided by our age-level ministries for their children (nursery-through-teens); the congregation benefits each week from the instruction of God’s Word by means of messages that are prepared after much research & study, and is inspired by music that is well-done and glorifies God. Then there is the pastoral covering that is provided for people in times of need (such as sickness, other crises, weddings, funerals, and counseling). Don’t forget the coffee and continental breakfast, air-conditioning, shirts for ushers, curriculum for kids, nursery equipment, office supplies, church supplies to ensure clean restrooms & facilities, and the comfortable seating. Add infitim. None of these services are free. The truth is it takes super-sized cash to underwrite ministry. Yet, a lot of people just eat for free. In all fairness, this is to be expected from guests, visitors, unbelievers, and brand new believers. They get a pass (for a brief period of time) because they are new and we are here to serve them as they are. However, in time, and after they have committed to Christ, they are expected to grow up and practice Biblical stewardship themselves - which means bringing tithes and offerings to the place where they worship. But for a believer (who has had enough time to know better and yet continues to draw off the services of the church for free), this kind of behavior is simply wrong. It is selfish and extraordinarly bad. It is disobedient to God and a drain on the church. They are mooching off the generosity of others. The Church was never intended to subsidize those who know better, and allow them to continue on a life-long eat-for-free gravy train. Rather, a church's leaders are commanded to teach, instruct, and challenge everyone to do their part. This we intend to do. Today was a good day. It was a meat-and-potatoes kind of day. It was like one of those Saturday afternoons when you relax with your family around the house eating comfort food. No Disney World trips. No itineraries to map out. No trying to outdo last Saturday’s road trip. Church was like that today. 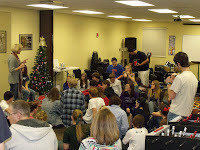 We were relaxed, comfortable with each other, and just enjoyed one another in our church family. 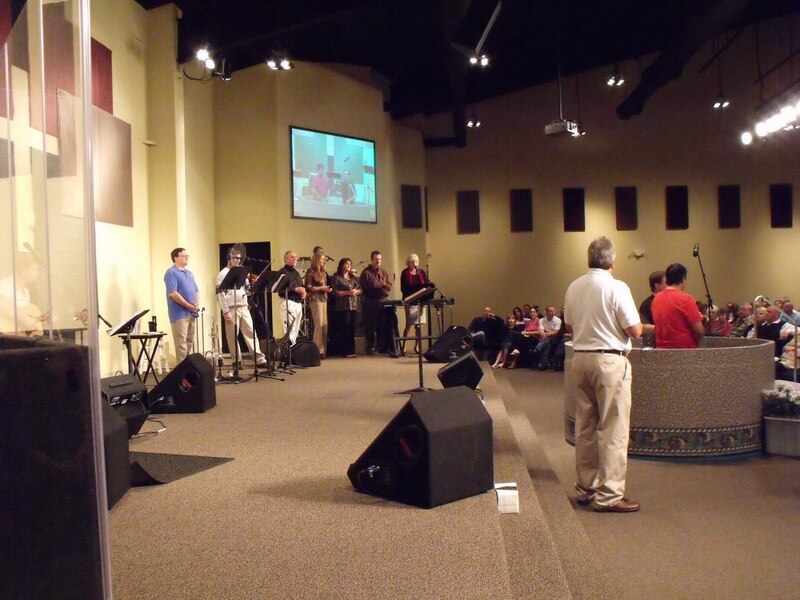 We worshipped together, changed the flavor of the service a bit, and talked about one of our own who was suffering. Most importantly, we were not trying to out-perform last Sunday with a bigger bang. That's a merry-go-round trap that I hate to get on. Gene filled the pulpit for me. He did a good job too. I think our church family benefits from hearing another voice (besides my own) from time to time. Plus, it gives me a much needed break and rest period. After finishing up three or four sermon series back-to-back I needed a Sunday off to recuperate before launching into a new series. Also, by not having to teach today I was freed up to walk around and mingle with people more than I normally do. I really enjoyed talking to people in the sanctuary before service and in the atrium afterwards. I was also able to walk through the children’s wing and observe our first-class nursery, pre-k, children, and teen ministries in action. Attendance was good and has been holding strong most of the year. I felt good when I left today. 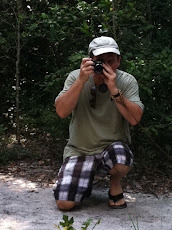 I’m going to be continuing the blog series on STEWARDSHIP next week (that I started last week). Upcoming…. Church Attendance, Tithing, & Other Basics…. Should the Pastor Know Who Gives?..... Members Who Eat for Free….. Seed & Harvest….The Proper Relationship with Money…. Thinking Differently About Giving…. Should be interesting. 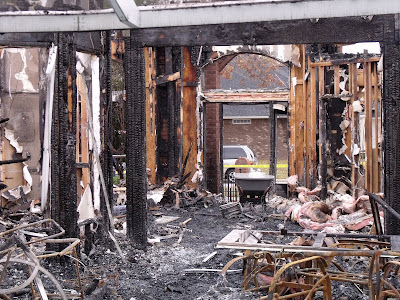 Many of you know about the house fire that completely destroyed the home of Terri Ferro last night. We are deeply saddened by this. I’m at a loss for words today, so I will let this picture speak for itself. Click the picture for an enlarged view to get a full appreciation of the loss. She has lost everything. 1. We are setting up a page on our church web site in which you, or any out-of-town family & friends, may make an online financial donation to the Ferro Family. It will take about ½ a day to get it up and running, but should be operational this afternoon. 2. 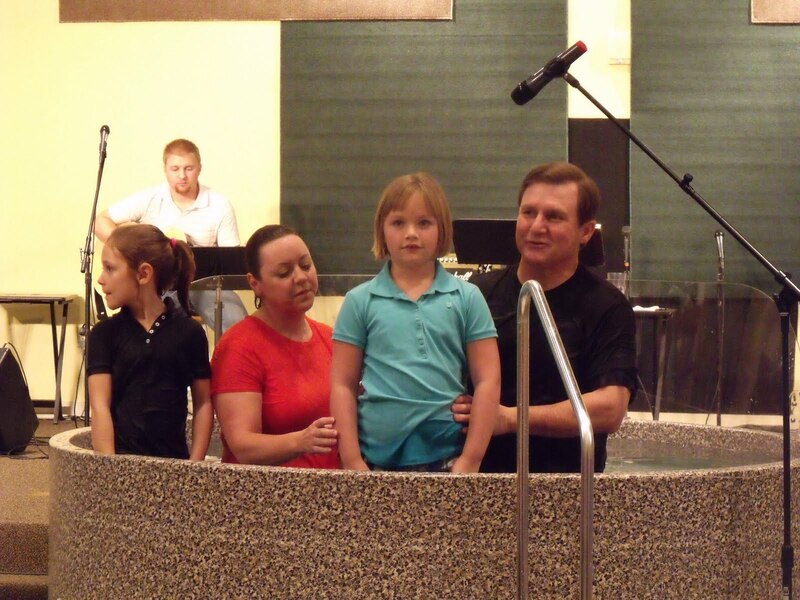 Next Sunday, December 20th, we will receive a special offering for this family in our Sunday morning services. There has already been a gracious outpouring of support for Terri, and I thank you for that. There is still more to do. I believe Terri will be staying with the Colon family for the next couple of days. Beyond that she doesn’t know what she will do. We will do our best to keep you informed of ways to help as they unfold. If I teach about adultery, who gets upset? Those doing it, that's who. 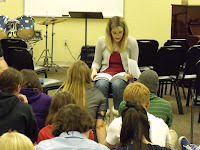 If I teach about immorality, who gets upset? The immoral. If I talk about the sanctity of marriage, who gets upset? Those living together without being married. If I talk about moral purity, who gets upset? Those who live impure. If I teach on the subject of dressing modestly, who gets upset? Those who dress seductively and show too much skin, that’s who. And if I teach on financial stewardship, who gets the most upset? The selfish and those who don’t understand the joy of giving. People who find it easy to complain when money is talked about reveal by their complaining that they lack a spirit of generosity. Misers are miserable and it shows. Covetousness is a sin. Sometimes you just have to call it for what it is. Generous people, on the other hand, do not squirm or complain when this topic is addressed. Why? Because Christ has been formed within them resulting in a spirit of generosity. Godly people don’t get upset when tithes/offerings are talked about any more than they will get upset if adultery is talked about! Why? Because they are living right – that’s why. Our goal at PCC is NOT to make everyone feel good and get a free pass on this challenging BIBLICAL requirement. If that were our objective we would end up filling our church only with dead weight and selfish babies – consumers, not contributors. Our goal IS to challenge people to grow up in God. To do that we have to teach the whole counsel of God’s Word, and, like it or not, giving is part of discipleship. "For if you give, you will get! Your gift will return to you in full and overflowing measure, pressed down, shaken together to make room for more, and running over. Whatever measure you use to give - large or small - will be used to measure what is given back to you." The Bible is a book about giving. The Bible talks more about giving than it does about either heaven or hell. Jesus talked more about giving than almost any other subject. Over half of His parables have to do with money. There are more promises in the Bible related to giving than any other subject. How you choose to manage your God-given resources is a choice that you, and you alone, make. What you decide to do with your money is decided in the secret chambers of your heart. Jesus said, Show me your treasure and I will show you your heart (Matthew 6:21). No single area of life says more about the condition of a person's heart toward God than the area of generous giving through tithes & offerings. Some teach that tithing belonged only to the time of the Law of Moses and, therefore, does not apply to the church. Yet, long before the time of Moses, we read that Abraham, a forerunner of the New Testament believer, paid tithes to Melchizedek, who was a type of Christ (Ps.110:4). Following Abraham’s example, we should pay tithes to our High Priest, Jesus Christ. "If Abraham were your father", Jesus said, "ye would do the works of Abraham" (Jn.8:39). God's will concerning tithes and offerings has never changed. As Melchizedek received tithes, so does Jesus through the Church. The commandment to tithe cannot be repealed, so long as the priesthood of Christ lasts. Abraham's blessing through tithing is ours, being a part of his blessing of justification by faith. The tenth of all our increase is the Lord's. This has always been true, before the Law, during the Law, and after the Law. I agree, Tiger has done a bad thing. What he has done is a violation of the marriage covenant and strikes against our sensibilities of morality. He’s got trouble with his wife, trouble with his family, and trouble with his financial sponsors. His reputation and pristine image have been marred. Play-day is over for him and pay-day is in the near future. It’s no coincidence that the Bible says, “the way of the transgressor is hard” (Proverbs 13:15), and “he who commits adultery with a woman lacks understanding… a wound and dishonor will he get; and his REPROACH shall NOT be wiped away” (Proverbs 6:32-33). This transgression will follow and haunt Tiger for the rest-of-his-life! Ask King David about his adultery with Bathseba and he will tell you it's true - it has followed him for more than 3000 years. We still talk about it to this very day. BUT I’VE GOT A QUESTION TO ASK: Why aren’t the women (who were in bed with him) being interviewed? Why aren’t THEY being stalked by the media? What are THEIR names? It takes two to tango. What’s good for the goose is good for the gander. These ‘marriage wreckers’ betrayed the sisterhood of their own gender. They betrayed another mans’ WIFE! Why the double standard? Why are they getting a “free pass” on their adultery? Is it fashionable and acceptable to be the “other woman” nowadays? The only standard that is consistent for marriage and morality is the WORD OF GOD. They are ALL equally guilty. This is a family disaster, and I wouldn't trade places with Tiger for all of his money. He has earned more than one billion dollars in sports and his life is now falling apart... and so is his wife's. This is proof that money doesn't buy happiness. Only Christ can give us inner contentment. Let me close with a pastoral suggestion: If you are a Christian, make an attempt to rise above the sordid gossip of this tabloid TV. And please, don't be enterained by it. It's beneath us; we are Christians. Think of the children. Today I am beginning a new series on money, materialism, tithes & offerings, and its connection to spiritual maturity. Below is part 1 which lays the foundation for the series. When you think of a thief, what comes to your mind? We might visualize a bank robber or shop lifter. But it’s hard to imagine a “Christian” as a robber. Yet, that is God’s accusation against His own people who had withheld the tithe from Him. It seems impossible, yet the scripture below clearly states that all those who do NOT bring their tithes have ROBBED GOD! By definition, robbery is taking something that does not belong to you. God specifically used the term “robbery” in the passage above to show that the tithe (which means a tenth) belongs to Him, not us. Unfortunately, many Christians misunderstand the idea of tithing. They believe it as giving a tenth of THEIR OWN property to God. However, in reality, it is God who has done the giving to us (that is, everything we possess actually belongs to God in the first place) and He claims the return of only 10% of His own property. Tithing is not giving a tenth of our income to God, but it is RETURNING a tenth of WHAT IS HIS to begin with! Tithing is a TEST of stewardship to manage something that belongs to God. It is a test of HONESTY to return what is rightfully His. It is a test of OBEDIENCE to do what He has commanded. 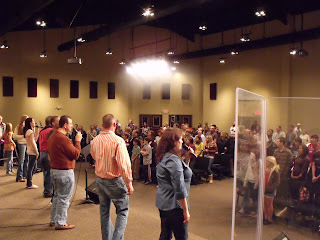 It is a DEMONSTRATION that we believe in God and acknowledge His authority over our lives. Most of us realize that robbery is a serious offense in society, and those convicted of theft are sentenced to jail. But what happens to a person who is guilty of robbing GOD? The scripture says that he will be CURSED WITH A CURSE (Malachi 3:9). What kind of curse is this? The NON-tither is cursed by having no protection from the devourer (Satan) from destroying their prosperity, and having the windows of heaven closed so that God will not shower them with His blessings. That INDEED is a CURSE! Some people claim they can’t afford to bring their tithes. But let me ask you, “Can you AFFORD to BE CURSED?” Can you afford to not have God’s blessings and protection over your finances? 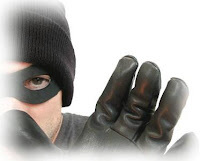 Can you afford to be considered a thief & robber BY GOD HIMSELF? Can you afford to be a person who does not obey the Word of God? The fact is, you can’t afford to NOT BRING your tithes, because this is the principle that God has chosen to bless you! Every church has people who could be defined as encouragers, discouragers, and those who are easily deceived. These are the people who are trusting, supportive, and optimistic. They are peacemakers and mediate conflict. Encourages bring health to the church and are a blessing because they want the church to succeed and the gospel to prevail. Sadly, in most churches the discouragers are the most vocal, most distracting, and the least likely to contribute to the growth and health of the body of Christ. They are like gangrene in the body of Christ (2 Timothy 2:17). Practically speaking, this means that even a few discouragers working together can become infectious to a local church. Sometimes such discouragers will pair up together (like a double barreled shotgun) as Jannes & Jambres who opposed Moses, Sanballat & Tobiah who opposed Nehemiah, and Hymenaues & Alexander who opposed Paul. The easily deceived are those who are followers by nature, are new in Christ, or are not fully grounded in the Word of God; therefore they are the most likely to be deceived and misled by the discouragers. They often find themselves caught in the middle of conflict and will cave-in to the loudest and meanest voice (which is usually the discouragers). They are also easily corrupted by the books they read, the people they listen to, and the teachers they look up to. First, the lead pastor and other senior leaders in the church must be encouragers themselves and positive, hopefully influencing others. Second, discouragers and troublemakers must not be allowed into leadership or into any ministry position. Period. If they are in office they must be rebuked, and, if they don’t repent, removed (Titus 3:10-11). Troublemakers are often tolerated far too long; the longer their bad attitude is tolerated the more toxic the church environment becomes. Third, those who are easily deceived and misled need to be told that they are, in fact, being misled and that they need to take responsibility for their naivety. Sadly, the easily deceived are often nominated and elected into ministry positions because they are nice people who are likeable… but because they are amiable they are easily influenced by negative types. When I drive onto the campus of PCC on Sunday mornings and see the parking lot so full and people streaming in, I am very excited. I never come to our church property without remembering that God is “able to do exceedingly abundantly above all that we ask or think” (Ephesians 3:20). I never take for granted the amazing work that God has given to us to carry out and the amazing things He has already accomplished in us. I never take this for granted. Big things are in our future. I know 2010 will be our greatest year ever. If God says two things that appear contradictory, both are true. The problem is you trying to fit God into your theological box. People often become atheists because of some pain or hurt, then seek intellectual arguments to validate their desire to live without God. It defies logic to believe that life could just happen accidentally (i.e., evolution) while, at the same time, insisting that a life resurrected from death (i.e., Jesus) is impossible. As followers of Christ we're prohibited from hating anyone or hurting back. Let it go & you will grow. Last year (2008) it estimated that 146,000 Christians were put to death because of their faith. In some parts of the world you cannot be a fair-weather Christian; it’s all in or nothing. 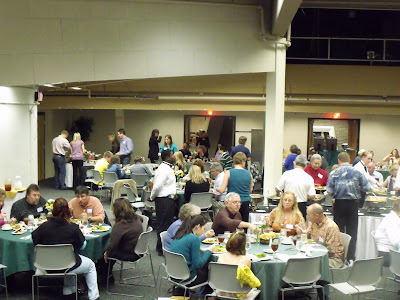 A picture from our Volunteer Apprecation Banquet. We have an amazing church, made up of great people, who are can-do volunteers. We had a great time this night (the Sunday before Thanksgiving). It was a high point for me and a great way to start the holiday season. Well, we have come to the end of what Donna and I consider to be the best FPU class yet. It was amazing to watch the changes taking place in each person. It was actually a visual transformation. One class member will be debt free very soon. Now those are impressive numbers! These people get it! They are what we call Gazelle intense". They have seen that it is possible to pay off the debt they have accumulated and live debt free. It was an awesome privilege and honor to coordinate this group of people. What an awesome class! What an awesome God we serve that can bring such a diverse group of people together to learn what His plan is for money! The teaching of God’s Word should be at the very center of a church’s ministry. Preaching should be Biblically solid, contain strong meat, be God centered and Christ exalting. It should also be understandable to the average listener, applicable to the believer, and offer hope to the suffering. Such preaching is in short supply. There are plenty of gifted communicators in America today, but today’s sermons tend to be short shallow, topical homilies that focus on insipid subjects like “successful” living, emotional issues, and getting ahead in life – but definitely not Biblical themes. These messages tend to be lightweight, fluffy, and without much substance, leaving little more than a short term impression on the minds of the hearers. Biblical teaching that actually “expounds the scriptures” imposes the authority of God upon His people and exposes us to the content that God intends for us to hear and know. It presumes that God intends the church to learn from both Testaments, as well as all other categories of Scripture – law, history, wisdom, prophecy, gospels, and epistles. 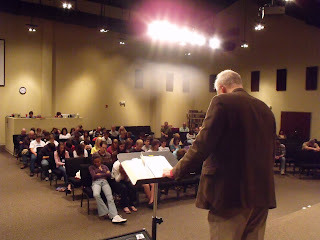 The number one feedback I have received from people at PCC over the last twelve years is how they enjoy “learning the Bible.” From our earliest days up until now, it’s still the same – they are glad to be “learning the Bible.” I am glad that God has used PCC in this manner. I’m convinced it is one of the reasons that has contributed to our church’s health. When God’s people are exposed to a steady diet of milk and strong meat from God’s Word, they grow. As a result, the church will grow too. I have heard this refrain from unchurched people (which is understandable) and from Christian people who have come from other churches (which I find to be astonishing). Apparently people are sitting in churches listening to preaching for years and years and not learning very much about the Bible! We have a high regard for scripture and for the primacy of preaching at PCC. 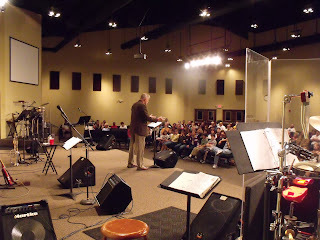 Here's a few photos I took tonight in the youth service, with Frank Lay as guest speaker. It was a great night. Mr Lay did a good job speaking to the kids, offered some personal insights into his recent court case, and was an encouragement to us all. 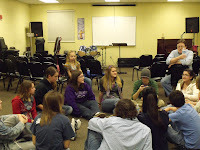 In his message Mr Lay said that teenagers should be UNSELFISH, UNASHAMED, and UNDEFEATED in their Christian walk. Good stuff for the adults too. Mr Lay really enjoyed the music and was very impressed with our church building. His exact words were, "This is a far cry from the days of Freedom Hall." Regarding the music he said, "I don't know what else you do right, but you do the music right." He was especially impressed seeing so many students from his school in attendance tonight, as well as the teachers, staff and faculty! There were 196 in attendance. Click the pictures to enlarge... then backspace to return. The apostle Paul warned believers that the natural consequence of being married to an unbeliever would be CONFLICT over a myriad of issues, ranging from child-rearing to finances, and the possible choking of the Christian’s faith. Yet, for a variety of reasons, many Christians find themselves in an unequally yoked marriage (maybe by marrying an unbeliever, or one of the spouses become a believer after marriage) — and have personally suffered the anguish, anger, and arguments that often result. Marriage is difficult enough on its own, without the complication of a spiritual mismatched in marriage, and is often filled with many problems. But there is hope. If you are Christian who is married to someone who is far from Christ, don’t despair. You can thrive despite your differences. What does a person do when they are in a spiritually mismatched marriage? How can they calm the turbulence? Find a Christian Friend for Support. “Two are better than one” (Ecclesiastes 4:9). There are other people who are in the same situation you are, who have survived and overcome, that will be able to help you along. Such a friend will be able to offer godly advice, consistent prayers, and an understanding ear. They will keep you from sinking into self-pity or turning sour towards your unbelieving spouse. Most importantly, they will help you stay focused on God and not distracted by the problems in your marriage. One final piece of advice: this friend should be of the same gender - and the reasons why are obvious. Don’t Force Your Christianity on Your Spouse. Nobody likes to have religion stuffed down their throat. In fact, it’s counter productive and will only make matters worse in your marriage. Give your spouse space. Regardless of how good your intentions are, you cannot “make” your spouse commit to Christ. Remember, this is a work of the Holy Spirit, so lighten up on the pressure. It still takes the Holy Spirit to draw men/women to Christ. Simply let your spouse observe your life, and always be prepared to answer questions about your faith if asked. Don’t Allow Your Spouse to Choke Your Christianity. This is one of the greatest dangers of a spiritual mismatch – choking out your faith. While it’s important to give your unbelieving spouse space, it’s also important that you have margin built into your life as well. Live out your faith. Don’t just talk it. Go to church. Stay faithful to church attendance. Read your Bible. Live a righteous life. Don’t compromise. Stay faithful. Don’t be pulled away from God because of martial pressure. Just be strong in God. Be Realistic about Your Marriage. If your spouse WAS a believer, things might be better, but they still wouldn’t be perfect. Nobody has a perfect marriage. Life is a lot easier to deal with when we settle down and become realistic. This leads to contentment. It’s a trap to start comparing your own spouse to someone else in the church who seems to be “more spiritual.” Cherish the mate you have. God is bigger than the spiritual condition of your spouse. Even if the situation never turns around, you can remain joyful in Christ. Finally, take hope because God knows about your situation and understands what you are going through. Not even a sparrow falls to the ground without the knowledge of God, and you are more important to Him than a sparrow (Matt.10:29-31). God takes pleasure in and accepts our sacrifices to Him. In the OT He gave detailed and specific instructions to His people how they were to give their sacrifices and offerings. He declared that these would be a “sweet savor” or “smooth aroma” to Him (Lev.1:13, 17). Once given, the offering was no longer their own – it belonged entirely to God. Furthermore, God would accept only the best they had to offer. It was an insult and offense to God if His people offered crippled sheep that were damaged or imperfect in any way. God Himself met these standards of excellence for sacrifices when He offered up His own Son as the spotless Lamb. Only the death of His perfect Son was worthy enough to atone for the sins of mankind. Today, God instructs us to lay down our lives on His altar as a LIVING sacrifice. We don’t offer dead sacrifices, but living ones – ourselves! They way we live our lives for God is our offering to Him. We should live righteously and holy before God, which is our REASONABLE service. Such a sacrificial life becomes “acceptable” to Him. 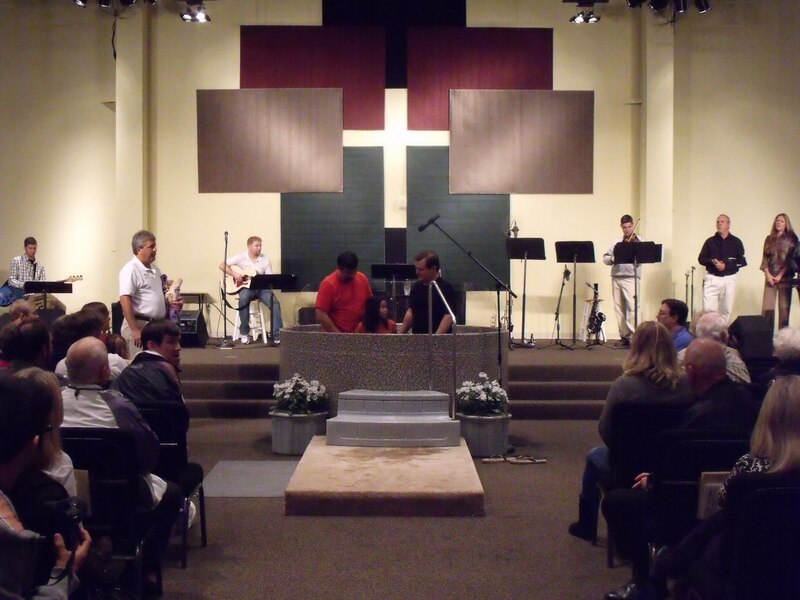 Baptized 18 people today. Love doing that. Attendance was good – about 450 – the same as last week. Not too bad for a holiday weekend. Next Sunday we will conclude our current sermon series. I will be preaching from Revelation 19 – the Second Coming. We will be singing “We Will Ride” again. I believe next Sunday will be a great service. Speaking of great services, THIS WEDNESDAY night FRANK LAY will be speaking at PCC. Oh yea. Planning to get the atrium redecorated this week with a Christmas tree, etc. If you are willing to help, let us know. We want it to look like the holidays for the first Sunday of December (which is next weekend). 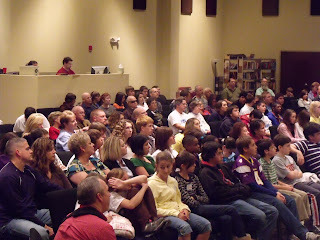 I love seeing the teenagers on the front row… with Bibles in hand. 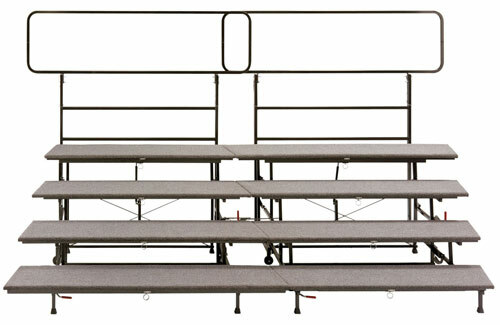 We have ordered a choir riser (similar to the one pictured) to use from time-to-time for ensembles or worship team backup singers. This going to be a lot of fun. First of all, give up the fantasy that there is a perfect church somewhere else. When unhappiness sets in, people often live with the fantasy that it will be better “over there” or “down the road.” They think, “If I only attended that church…. served under that pastor… or had that budget… then I would really be happy at church again.” The truth is, all churches have inherent flaws within them. So get over the illusion of greener pastures. That place does not exist. Second, serve in your area of responsibility in such a way that leaves the church better than you found it. For instance, maybe you are a small group leader, a youth worker, or even a staff member, but you feel “boxed in.” Maybe you feel stifled, or something. I would challenge you that it is not your responsibility to push the pastor or the elders to go in a direction that suits your gifts and preferences. Instead, use your gifts and talents to help the church fulfill the mission that the overseers have already established. The day may come when God leads you to another church to serve in, but in the meantime make your present church better. Don’t destroy it and don’t tear it down simply because of your own inner dissatisfaction. And when the time comes to depart, leave it better than you found it. By serving this way, you will be helping the church and advancing God’s kingdom. It also honors God when you serve with a cooperative spirit. Third, practice the “one thing” principle. Let’s suppose the church you attend is not passionate about the same things you are. Maybe you love evangelism or discipleship but the church is weak in those areas. Maybe the teaching is dry and the doctrine not deep. Whatever it is that “rings your bell” the church is not ringing it, and your bell hasn’t rung in a long, long time. If this describes you, you can practice the “one thing” principle. The “one thing” principle states that “there is always one thing I can learn anytime somebody opens God’s Word.” This means you can hear a really bad sermon, but still walk away with “one thing” that rings true. You can listen to a dry and dusty lesson in a Bible class and still apply “one truth” that can be life-changing for you. Your church services may be as dry as chips, but there is always “one thing” that is God-honoring that takes place. You get the idea. Practice this principle and you will discover God speaking to you every single time you gather at that place. You see, it’s more about the condition of your heart (i.e., the anticipation of receiving) than it is about the environment measuring up to your expectations. Fourth, finish well. The way you finish one season of ministry is going to have a big effect on how successful your next season of ministry will be. How you end one season will determine how you enter the next; so you need to finish well. 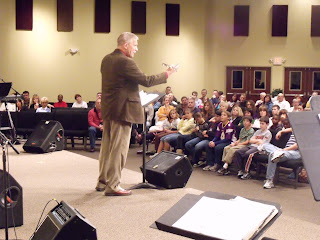 I was on staff at a church in Pensacola early in my ministry. I served as an associate pastor and my responsibilities included preaching, youth and the bus ministry. The people in that church really loved me and were very gracious. But then this church entered a difficult season. There was discontent. There was tension between a group of people and the senior pastor. A fight was brewing and you could sense the build up. Then people started telling me “how great I was” and “how much better I could preach than the pastor.” Others were inviting me out to dinner. Stuff like that. I could see what was happening. These little pockets of gossip were gathering together, like bugs being drawn to a light bulb, and I was being manipulated to join. It was sneaky, underhanded, and deceitful. I had no part of it. I told them no. I did not go to their meetings. And when they gushed over me about how great I was, I told every single one of them that I was absolutely loyal to the pastor (even though this man was very imperfect). What they were doing was wrong, and there was no way God could possibly bless their efforts. Plus I didn’t want my ministry there to end that way. If you every find yourself in that kind of temptation, don’t get involved; don’t go to those meetings; don’t go to those lunches; and don’t go to those small groups. It is not the right way to end your ministry, and if you end that way you will mess up your future. Refusing myself to be drawn into the discontent, and handling it in an honorable manner, turned out to be one of the most vital lessons I have ever learned in the ministry and church life. I also believe it to be a key reason God has blessed my time in the ministry over the years. Fifth, keep a secret playbook. Keep a journal and write down every ministry idea that you would like to implement yourself one day. Let’s suppose you see something in the church you don’t like, and you think to yourself, “If I was in charge I wouldn’t do it this way, I would do it another way.” Instead of undermining those in leadership, write your ideas down in your secret playbook. Create a file and gather material. Put them in a 3 ring binder. Keep all this between yourself and God. Let the ideas accumulate. Allow them to percolate for a couple of years. And maybe one day, if God ever allows you to be the overseer of a church a department head, or lead a ministry yourself, you will be able to implement the ideas you’ve recorded in your journal. I spent years doing this, serving under others, learning along the way, and it is how I prepared myself to become a church planter. Yesterday in China, a pastor and four other church leaders were sentenced to prison for worshiping in their homes. It would probably be healthy for you to read the entire article to both be reminded to pray for other people throughout the world who don’t have our freedom and to thank God for the freedoms we have in the United States. I wonder how comitted the the fair weather Christians in America would be under these conditions.